Dr Gary Wu is certified to provide facial rejuvenation with dermal fillers in Stoke On Trent and has been trained in this field by Mr Taimur Shoaib who is a Consultant Plastic Surgeon in Glasgow. Dermal fillers such as Juvederm®, Restylane® and Belotero® are popular treatments for wrinkles and facial lines without the need for surgery. As we age, the skin typically loses collagen due to repetitive movements caused by facial expressions. 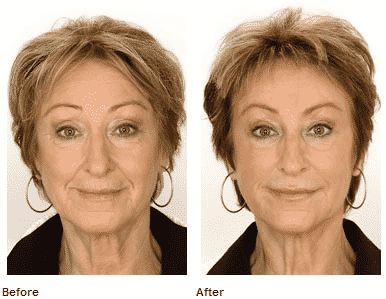 Dermal fillers help ‘fill out’ and smooth away troublesome areas underneath the skin. Sun exposure, smoking, air pollution and even stress can all age your appearance. The face can also begin to lose volume giving sunken cheeks and a ‘dragged down’ appearance. The fillers are made out of hyaluronic acid, which is a natural product found in human skin. Along with botox injections, we can help make your skin smoother and youthful without the need of surgery. Results typically last between 4-18 months. All Botox and Dermal Fillers are carried by Dr Gary Wu who is experienced at carrying out these procedures. He has also received extensive training from a Consultatnt Plastic Surgeon in Glasgow. 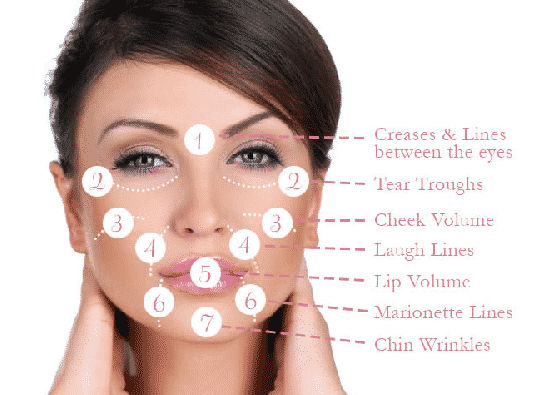 What does Dermal Fillers treatment involve? After an initial consulation to determine the volume of type of dermal filler to be used. Local anaesthetic can be applied to the area and the skin is cleansed with alcohol. Small increments of dermal filler is injected with an ultra-fine needle to plump the skin and smooth away the fine lines and wrinkles. Need advice about Facial Aesthetics or an appointment?